Lewisville is a thriving economic hub in the Dallas/Fort Worth (DFW) region with numerous advantages including superior access, great infrastructure, a low tax environment, and quality workforce. Take a moment to watch our Lewisville 2025 video below. 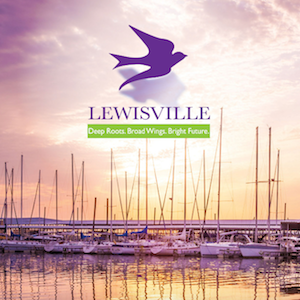 The Lewisville 2025 plan is a strategic plan designed to guide the development of the City of Lewisville over the next several years as we move towards celebrating our centennial in 2025. The plan was developed during more than a year of public input and discussion that garnered hundreds of ideas and suggestions. The Lewisville 2025 plan functions to serve as a vision for the future and framework for investment decisions. 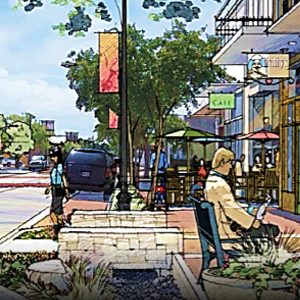 By 2025, Lewisville will be a community characterized by diversity, connectivity, resource management and growth. The Lewisville Talks - City Speaker Series brings national influencers to Lewisville to discuss current events, trends, and ideas that can enrich our lives and create a discussion forum for the future of communities, residents, and community leaders. Tom Luce, founder and chairman of Texas 2036, will be the featured speaker on May 9th. Lewisville, Texas, is a dynamic suburban community in the thriving North Texas region. Home to approximately 100,000 residents. Lewisville is a significant regional employer used by major corporations for both administrative headquarters and warehousing. With its location just minutes from DFW International Airport, and straddling two major highways, Lewisville is perfectly positioned for easy access to the rest of North Texas and the world. This Google Map displays information on parcels, zoning, infrastructure, floodplains, link to Denton CAD and other helpful information. The Lewisville Independent School District offers a world-class education and has the results to back it up. The District annually produces as many National Merit Semi-finalists as any in Texas and significantly outpaces the State of Texas and U.S. averages on ACT and SAT scores. Thirty-eight of the sixty campuses are ranked as "exemplary" by the Texas Education Agency. You won't find a better location than Lewisville, Texas, right in the heart of the fourth largest metropolitan region in the U.S.. Three major transportation corridors serve Lewisville: Interstate 35E; the President George Bush Turnpike; and State Highway 121. As a part of the Denton County Transportation Authority, Lewisville offers three commuter rail stations (ties into the Dallas Area Rapid Transit) and a commuter bus system. Lewisville is also located within twenty minutes of DFW International Airport and within forty minutes of Dallas Love Field. Part of what makes Lewisville truly special is its abundance of parks and wide range of leisure activities including Lake Lewisville (29,000 acres and 233 miles of shoreline); Lewisville Lake Environmental Learning Area (LLELA)--2,000 acre nature preserve that features prairies, forests, and wetlands; and over twenty-five parks and two recreation centers. The Lone Star Toyota of Lewisville Railroad park, a 269-acre park, offers a dog park, skate park, sports fields, and a 300-seat Performance Hall. Another key Lewisville advantage is its low cost of doing business including property tax rates--the City of Lewisville offers one of the lowest combined tax rates in the DFW region. Businesses and workers in Lewisville can keep more of their hard-earned money and prosper in a tax-friendly environment. While many cities talk a lot about redeveloping their downtown business districts, Lewisville has put its words into action, and results have followed. With a DCTA Commuter Rail Station nearby, Old Town is seeing a number of new residential units from townhomes to apartments across the Downtown area. Commercial growth has also followed including several new restaurants including Twisted Root, Prohibition Chicken, Cobra Brewery, Cavalli Pizza, Old Town Wine House, The PERC Coffeehouse, Feed Mill Restaurant, and Witherspoon Distillery. The MCL Grand Theater is also located in Old Town, offering shows, exhibits, and events. Deep Roots. Broad Wings. Bright Future. Join a thriving economic hub in the Dallas/Fort Worth (DFW) region with superior access and infrastructure, a low tax environment, quality workforce and more. Lewisville has millions of square feet of new business and industrial development in the flexible pipeline for your operation. A business-friendly district with a whole lot of historic charm. With structures dating back to the 1880's, Old Town Lewisville is a shopping and dining district with charm and vitality. Old Town's beautiful historic buildings show off its architectrually rich heritage, while its historic home district is perfect for a stroll. The Economic Development Division is committed to fostering a vibrant and rewarding business environment in the City. Major emphasis is placed on long range planning for economic prosperity, retaining local businesses and recruiting new companies. “ When identifying a new location over 10 years ago, Bank of the West focused on an area which provided the opportunity for a strong community partnership together with planned economic growth - Lewisville was the perfect fit. We recognized the value of the Economic Development commitment to new businesses, the dedication to the revitalization of Old Town Lewisville and the overall spirit from the citizens and are proud to call Lewisville our home. Serving the North Texas Region as an Independent Community Bank for over 30 years, we take pride in knowing our customers and serving our communities. “ Cowork Suites chose Lewisville as the ideal location to open an up and coming new business in mainly due to the Buy Local movement. 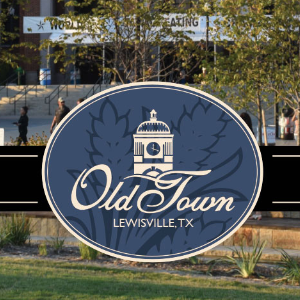 It's no secret that Old Town Lewisville is growing. With the addition of craft distilleries, craft breweries, and a booming economic growth, we couldn't have imagined building our business anywhere else. We are experiencing everything we have hoped for so far, Lewisville does not disappoint. “ Prime Controls has called Lewisville home for over 10 years. In addition to being centrally located in the metroplex, Lewisville provides an excellent infrastructure to accommodate all aspects of conducting business. We recently had to relocate our headquarters to support our growth and it was top priority that we do such within the city. “ We pride ourselves with having the best-in-class clinical and management talent with unmatched knowledge and infrastructure— our pharmacy clean room is one of the largest of its kind outside of a hospital setting in the country, said Michael Swayden, RPh, CEO. Our culture places earning trust, delivering uncompromised client stewardship and building long-term relationships above all else.